Andy Jaffe is the Lyell B.Clay Artist in Residence in Jazz at Williams College, as well as having served from 1999-2010 as Artistic Director of the Williamstown Jazz Festival. An active jazz composer, performer, and recording artist, Jaffe has been a leader in jazz pedagogy for over thirty years, having taught at the Berklee College of Music (1977-81); The University of Massachusetts, Amherst, Graduate program in Afro-American Music and Jazz (1994-98); the Institut Musical de formation Professionelle in Nimes, France (1984); Amherst College (1987-99); Tufts University (1992-93); Smith College (1997-99); The Tainan (Taiwan) National University of the Arts (2009), as well as at Williams (since 1988), where he directs the jazz ensembles and teaches courses in jazz ear training, theory/improvisation, arranging/composition, and on the music of Duke Ellington and John Coltrane. 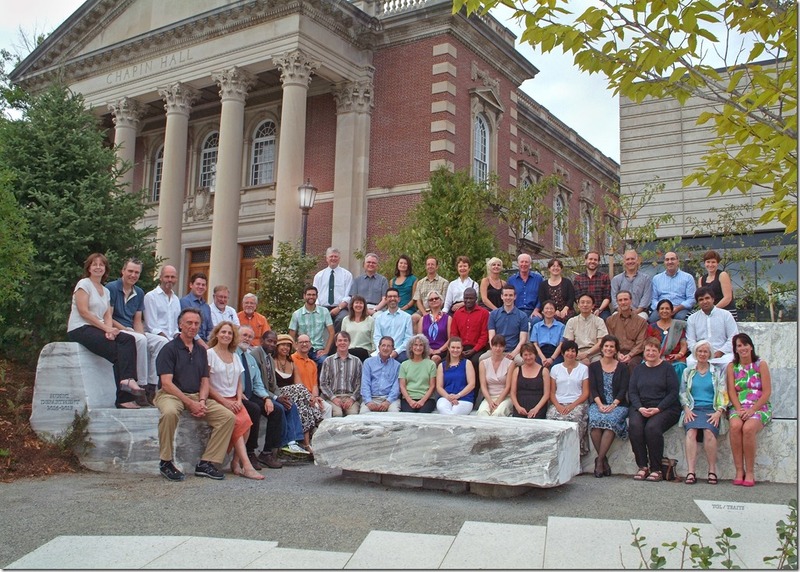 He serves also on the faculty of the Vermont College of Fine Arts low residency remote Masters program. He has appeared frequently as a guest lecturer, artist and conductor, including at Harvard University, Rutgers University, The Rivers School (Weston, MA. ), Columbia County Jazz Festival (NY), Winooski Valley Music Festival (Vermont), Bratislava Conservatory (Slovak Republic), University of Auckland (New Zealand), Brown University, the University of Kentucky, Wesleyan University, the University of Maine, the National Conservatory in Valletta, (Malta), Soochow University (Taiwan); Taiwan Normal University; Sun Yat Sen University (Taiwan); Taipei National University of the Arts; The Beijing Midi School; the DoDD School System (Germany), and as a perennial presenter at the International Association of Jazz Educators’ annual convention, having published articles in the IAJE “Research Papers” Journal on such topics as the music of Duke Ellington, Hermeto Pascoal, and Jazz Composition. In 2009 he lead his ensemble at the Toulon Jazz Festival in France. In 2001 he led an ensemble including Winard Harper (drums), Freddie Bryant (Guitar) and John Blake (violin), in a concert of his original music at the IAJE convention in New York, for which he was given an award for “Outstanding Service to Jazz Education”. In 2003 he premiered a three-movement double quartet entitled “Bridge” (for jazz Quartet and String Quartet) for saxophonist Branford Marsalis and his quartet, joined by The Ciompi Quartet and Tabla player Samir Chatterjee. His 1996 text, “Jazz Harmony” (Advance Music) is now in its Third Edition and is widely recognized as one of the most influential in its field. 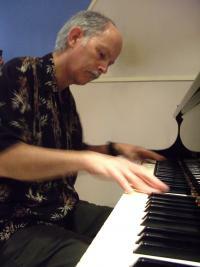 He recently completed work on a new text on Jazz Composition, also published by Advance in 2011, entitled “Something Borrowed, Something Blue”, which was also the subject of his January 2005 featured presentation at the International Association for Jazz Education annual conference, held in Long Beach, California. He recently published a fakebook of 22 original compositions, which may be obtained through www.AndyJaffe.com. He is a member of the editorial board of the University of Michigan Press’ “Jazz Perspectives” Series, headed by Lewis Porter. He is included in Porter’s “Encyclopedia of Jazz Musicians” at the Institute of Jazz Studies website. He has twice won Fellowships in Composition from the Artists Foundation. His numerous original compositions and arrangements are written for a wide range of instrumental ensembles, from piano solo and duo pieces to works for Jazz Orchestra. His commercially available recordings include “Manhattan Projections” (original material for Jazz Sextet featuring former Berklee students Branford Marsalis, Wallace Roney and Marvin “Smitty” Smith), and “Double Helix” (a Piano Duo with Tom McClung. Both of these recordings are being reissued by Parma Recordings in 2012 and may also be obtained through www.AndyJaffe.com. A short list of his former students includes Marsalis, Roney, Smith, Steve Vai, Stefan Crump, Darryl Harper, and Williams graduates Doug Boyce, Chris Lightcap, Brian Coughlin and Wang Leehom. His most recent CD, entitled “An Imperfect Storm”, featuring his large ensemble compositions, came out on the MMC label in June of ’04 and was reissued this year on Parma Records. (bigroundrecords.com/andyjaffe). It includes Jaffe’s music as recorded by the Bill Lowe-Andy Jaffe Repertory Big Band, for which he is principal arranger and musical director, and the Slovak Radio Orchestra and Big Band, featuring soloists Thomas Chapin, Tom McClung, Richard Stoltzman, Bruce Williamson, and Bob Weiner. He has arranged for vocalists Kitty Kathryn and Semenya McCord, the Coltrane Big Band, co-led by Archie Shepp and the late Majid Greenlee, as well as for Walter Robinson’s Gospel Opera “Oh What a Wonder Jesus has Done”. He has also worked written for and performed with various other ensembles, including the Greg Hopkins Big Band, Max Roach Double Quartet, The “Kings Singers”, and saxophonist Bill Barron, among many others.